The 2014 Chevrolet Cruze is a highly competent sedan that signifies a vast improvement over past compacts from General Motors. The Cruze competes well with stalwarts like the Honda Civic, thanks to its emphasis on a comfortable ride and fuel-efficient engines that now include a turbodiesel option. Very nice. Has Its downsides but overall good car. I bought my car used. It has leather heated seats which I love. Touch screen with XM Sirius satellite radio, OnStar. For the most part my car has been reliable but the last 2 years I have had to have major repairs which thankfully was covered under warranty. One I had to pay 600 out of pocket for extra parts, the other fully covered. It rides pretty smooth. I have a turbo engine. There are a few things that I miss having. Such as rear a/c, a sunroof, because It's kind of a small car so I feel claustrophobic, and it would have been nice to have rear camera and heated windshield and mirrors. And with the OnStar/Chevy app I can remote start my car but Its kind of pointless because the heat, air, and seats don't turn on so the car is started but the reasons you would start it up for don't work. So I really only use the lock/unlock, and navigation and if I can't remember where I parked the car it locates it which is nice. Also u can do a diagnostic from the app. Overall. It's a nice car, if it had a few adjustments it may have been perfect. The Cruze is well worth the money I spent and would recommend it to anyone. 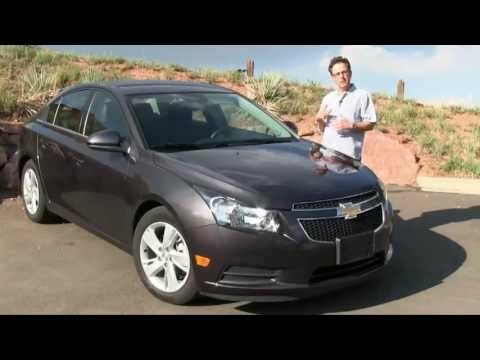 I have had great performance from the Cruze. Gas mileage has been over 30 mph consistently. Up to this point I have changed the batteries and tires only and I have over 80, 000 miles on the car. Service is kept up today so there have been no major issues so far. The only negative things have been when a sensor light kept going off indicating that there was an issue with the power steering but I was experiencing no problems with that. The dealer ran an update on the computer system and eventually that went away. I do not like the fact that there is no spare tire of any kind with this car. That does make it a little worrisome in driving. The car is small but with no passenger it is fine for the driving I do. It is comfortable for traveling the 600 miles to see family and friends. My car is an LTZ, I believe, so it has leather seats, a sunroof, keyless entry, push to start, and the driver seat is powered. It would be nice if the passenger seat was as well though. The car is a 4 cylinder with a turbocharged engine, I think that's the terminology, so it picks up really fast which I like because you don't have to spend a lot of money on a car with fancy horsepower and it is very good on gas. I love the way it handles and the ride is semi smooth but that could be because of the rims but I'm not sure. The only thing I would change is the way the vents are positioned for better air circulation and when the air is on it seems to lose a lot of power. I also have heated seats which is a plus.